Day 8 of my March Favorites is all about my go-to eyeliners and I'll be talking about both liquid and pencil formulas. When it comes to liners, my main criteria are that they have to go on smooth and not drag or skip on my eyelids, have good color payoff, and they shouldn't smudge or wear off too quickly. I first tried this liner in my Sephora Play! box and got hooked on it right away. First of all, I love the brush tip vs. a felt tip because it's so much easier to get a smooth line and to flick it out in the corners. Secondly, this goes on inky black and stays put all day until I take it off. I can't tell you how many liners I've used that I've looked in the mirror 2 hours later and my wing is gone because it smudged away. With this, I never need to worry about it moving, which is awesome. Everything I said above about Kat Von D's Tattoo Liner applies to this one...it's a total dupe for about 1/3 of the price, so even though I love the Kat Von D version, once I finish it, I'll just continue to repurchase this one. 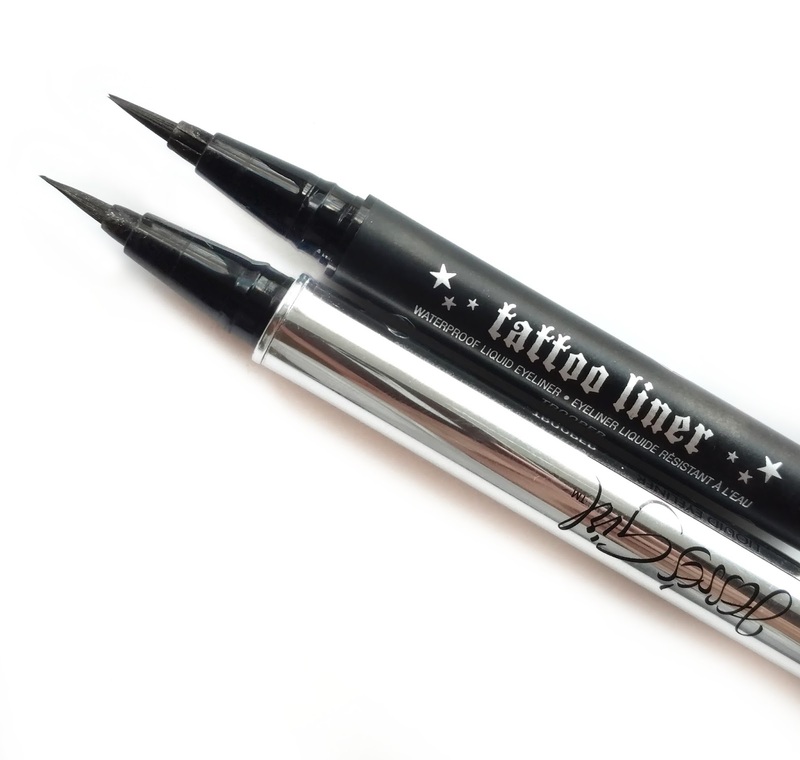 There's nothing that makes the Tattoo Liner better in my opinion...they have the same smudgeproof formula, same deep black color, they even have the exact same brush! 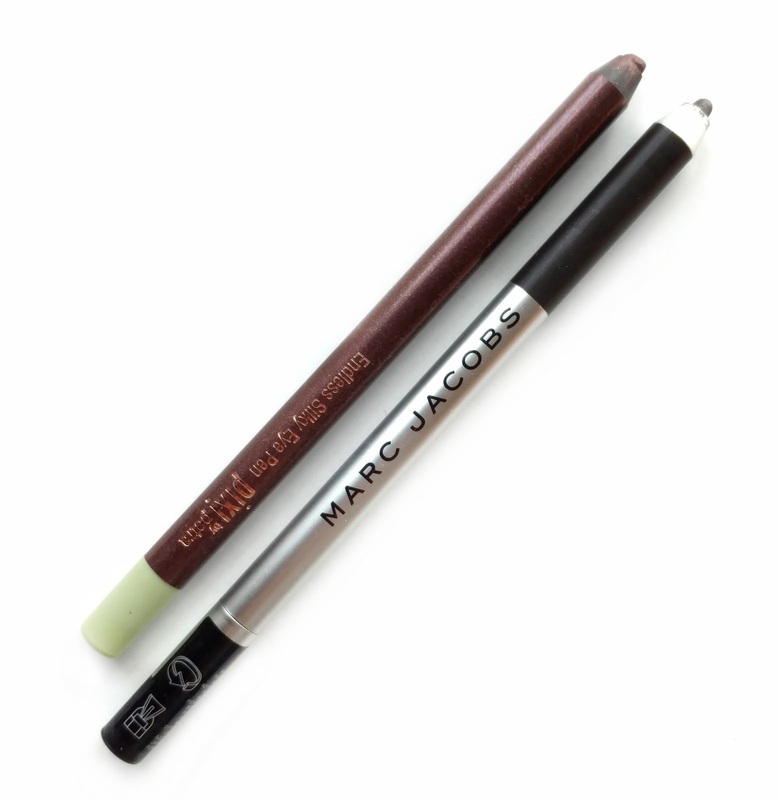 Okay, so these are really pricey for an eyeliner, but they're well worth it! They glide on so easily with no tugging and give you a few seconds to smudge them out if you want to before they dry down. Once they set, they don't move at all! Most creamy eyeliners migrate underneath my eyes before lunch time but these stay put all day...until I take my makeup off at night. They also come in lots of really pretty color options. I stumbled upon these pencils at Target one day and I purchased the shade Copper Glow because I didn't own an eyeliner in that color (it's a beautiful deep coppery bronze shade). 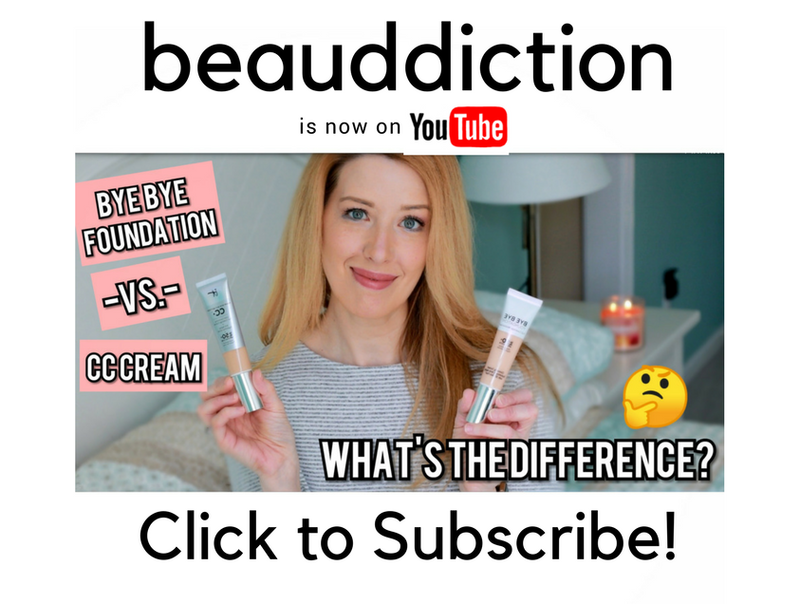 But even though I got it because of the unique shade, I ended up loving the formula. It's waterproof and stays put for most of the day (not quite as long as the Marc Jacobs but pretty close). It glides on smoothly without tugging and the shades go on vibrantly. I've collected several colors now and reach for them all the time. 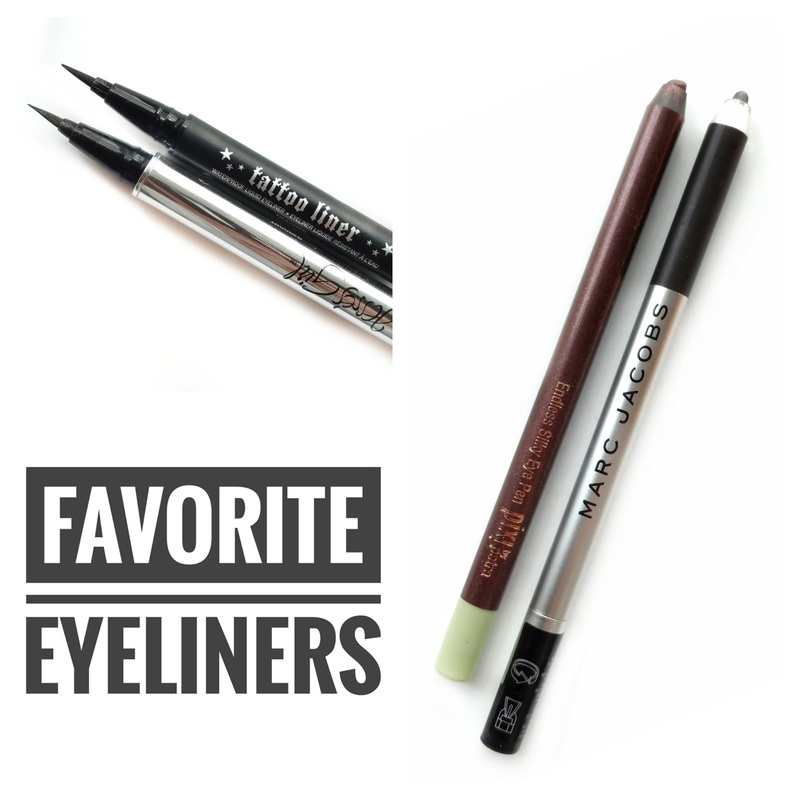 What are your favorite eyeliners? Are there any you would recommend that I try next? I have the KVD Tattoo Liner and while I loved it at first, it dried up pretty quickly within a few weeks- soo disappointing. Did you have the same problem? It's such a great liner, my Holy Grail so I'm just hoping I got a dud this time. Maybe I'll try the Jesse's Girl one next. Even if that dries out at least I'm not spending nearly as much on it right? My favorite is the Essence gel liner! I LOVE the Marc Jacobs liner, I took the plunge too weeks ago and got Ody(sea). I've been on the quest forever for a liner that would stay in my water line. Nothing else will!! The UD 24 hours might last an hour on me . I don't care as much for the top line, I don't have any trouble with that. I usually just get the Black Maybelline Master Drama one. I do like the new teal colored one I got from loreal, I forget exact name but its a felt tip one. Its pretty good too. Hi Emily, yes, aren't they amazing?? I agree about the UD ones...I used to wear them but was always confused that they didn't last when they claim to be 24 hours. I thought it was just me, haha! Ooh when it comes eyeliners, I look no further than Asian ones. Asian ones tend to be a little pricier, but worth it! They can withstand just about anything. I use this brand: Creer Beaute Versailles Eyeliner, voted among the best of the best eyeliners on the market. http://list.qoo10.sg/item/CREER-BEAUTE-CREER-BEAUTE-VERSAILLES-EYELINER-MASCARA-COSME-AWARD-JAPAN-BEST/413490576. Definitely check it out. Based on your reviews, I actually took advantage of the Ebay/Paypal deal and snagged myself a Pixi Beauty Endless Silky Eye Pen. Excited about its arrival. Colleen Rothschild Discovery Kit Deal- Last Day!